Showing results by narrator "Kathryn Alice"
Releasing a Person was first a workshop and then a bestselling CD that popular love guru Kathryn Alice created to help those suffering with the deepest attachment we face: that to another person. It has produced MIRACLES for those have used it. For the first time, this material is being made available in audiobook format. This is the quickstart guide to famed love guru Kathryn Alice's love magnetization process. This super effective method has worked for tens of thousands of people, now happily together with their soulmates. As you begin this magical journey, rest assured you will be next! Start magnetizing love to you within moments of beginning this book. Get introduced to a method of attracting love that has worked for thousands. A short, concise "quickstart" guide to a proven "calling in love" process. 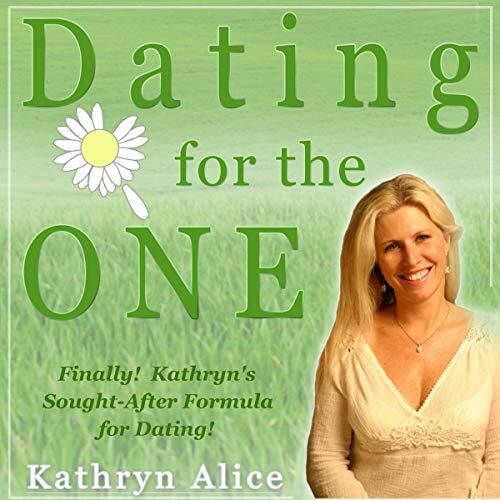 In this long-awaited audiobook by Kathryn Alice on dating, she shows you how to date for your soul mate - very different than the tortuous dating in which most people engage.